Be sure to let Chris know if you have a link that should be here -- he'll be happy to list it! Formerly Svenska Saabregistret, this Swedish club site is maintained by Martin Bergstrand. "This site is committed to the vintage two stroke Saabs. The Saab rally and racing history is interesting, a long history with remarkable results... The site is not completely translated into English, we plan to finish that by August 2002. But feel free to investigate the site in Swedish and mail us any questions." "The web site is intended as an information resource and has been designed to efficiently accommodate one million users each month. Currently, about 200,000 Saabers visit each and every month. The flashy graphics of an entertainment site have been omitted, although you'll probably find it entertaining enough if you are a Saab fan." Arthur from the Netherlands has created a very nice site as a tribute to the SAAB 96. His fully-restored 1974 96 is featured along with some history and technical info. Arthur writes, "As a great SAAB enthusiast and a proud owner of a beautiful orange SAAB 96 from 1974, I would like to share my SAAB enthusiasm with many other people, that’s why I have made this website." Filip Ericsson is a Swedish Saab fan who has put together a site describing his life growing up in Sweden surrounded by Saabs. 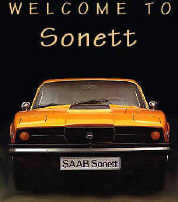 It's a great read and should resonate with just about any Saab enthusiast -- check it out! Help keep VSAAB alive and well! Click the icon to use PayPal for your donation. THANK YOU! ©VSAAB, 2001-2018 All rights reserved. VSAAB is not affiliated with SAAB Cars USA or SAAB Automobile.